According to scholars, the stone pictured above is a megalithic monument that was used in rituals some 4,000 years ago. It is hidden in the forest of Collserola, not far from Tibidabo. The stone measures one and a half meters long by almost one meter wide and has 12 mysterious petroglyphs (man made cavities), some of them connected by channels. It was discovered in the 1970’s by Professor Enric Sunyer i Coma of the European University of Washington, while conducting geological studies in the Collserola mountain range. Tests show that the stone dates from the Chalcolithic period, 5,000 years ago. The stone is perfectly oriented north to south. The type of mineral is pink porphyry, not common in the area. The stone must have been brought to the site by inhabitants of the time – predecessors to the Laietani tribe who populated the area before the arrival of the Romans. There are several theories on the meaning of the petroglyphs. One suggests that they are a type of calendar or possibly a map of roads. 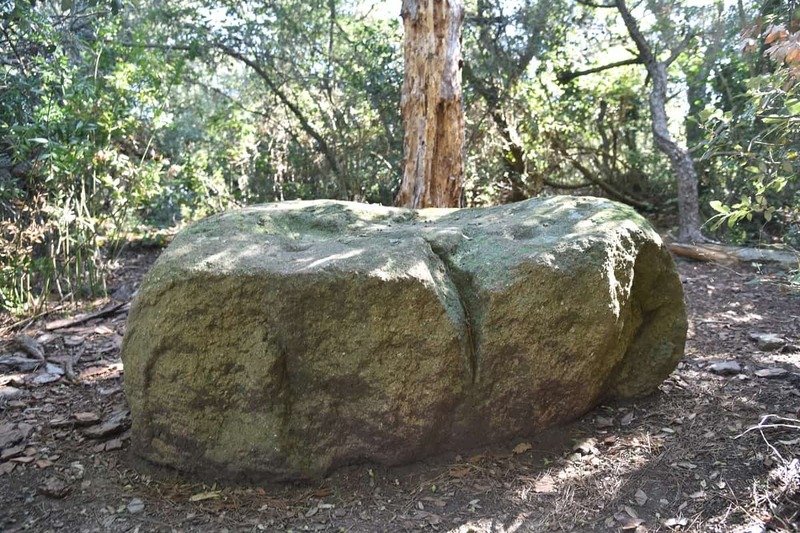 However, the stone is best known a stone of sacrifices – it is believed that it was used for rituals which included animal and possibly human sacrifices at that time. Studies such as the one by Orlando Barrial i Jové reveal the existence of sacrifice rituals in Catalan Iberian tribes of the time. Legend also has it that witches secretly met at the stone and carried out rituals. One myth states that if you jump over the stone at a certain date, you will be transported into another dimension. Occultists and esoteric groups are said to still come to the stone for ceremonies.